SIPTU members working in the Pfizer pharmaceutical plants in Ringaskiddy and Little Island, in Cork today served notice of industrial action in a dispute over a company proposal to change the existing pension scheme without agreement. 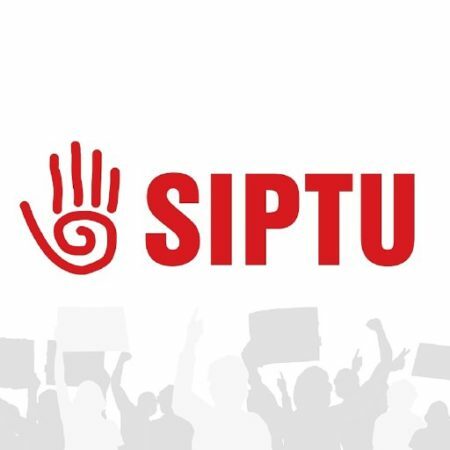 SIPTU Organiser, Ray Mitchell, said: “Since 2014, SIPTU members have continually sought to reach agreement with the company on this issue. However, they now feel they are left with no other option but to take industrial action in order to persuade the company to reach an agreement with them on their Defined Benefit (DB) Pension Scheme. “Our members cannot understand why Pfizer Ireland management has sought to change their existing pension benefits while at the same time allowing its employees in other EU countries to remain in a DB scheme. In Belgium, for example, Pfizer senior management has allowed its employees the option to voluntarily stay in the DB pension scheme or to voluntarily migrate to a Defined Contribution scheme. “The company is also aware that the current joint Union/Management collective agreement remains in place until a new one is negotiated and agreed with union members. Until then, there can be no alteration or amendment to the existing DB pension scheme. “Our members in both plants overwhelmingly balloted to reject a Labour Court recommendation on the matter last week and to take industrial action.